Flip-flops are the epitome of casual, but that doesn't mean they have to look grungy or plain. 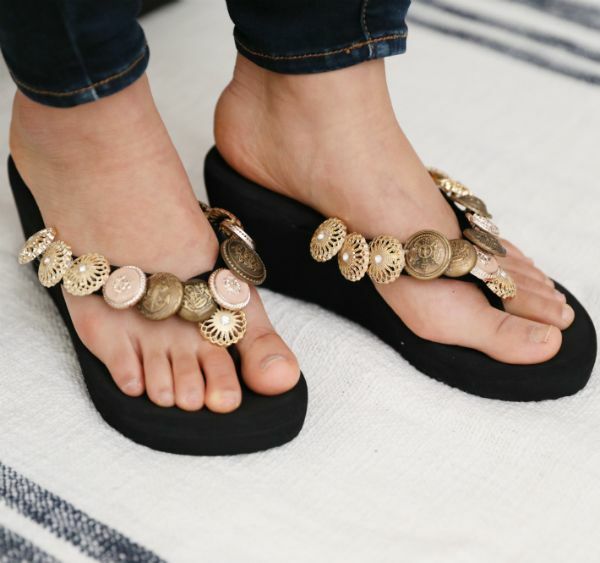 Dress up any pair of flip-flops with the fashion buttons of your choice. To ensure the buttons firmly stick to the strap, use wider buttons and make sure the shoes have a wide strap. The buttons' diameters should cover the straps' widths. In this tutorial, black shoes are decorated with gold and copper shank buttons (buttons with loops on the back), but you may use any color combination. For example, if you're wearing basic blue jeans, use different shades of blue buttons, or add fun to beach flip-flops with neon-colored buttons. 1. Collect the buttons in a small bowl. 2. 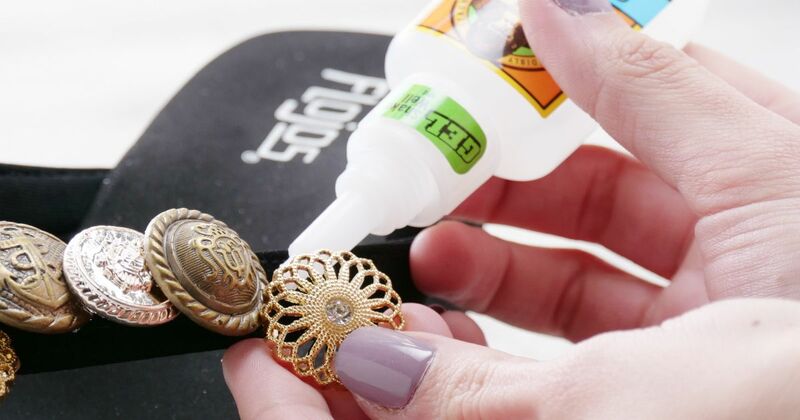 Squeeze a dab of glue on the top of a button's loop. Press the button just above the base of the strap that slides between the toes. Hold the button in place until it stays. 3. Squeeze a dab of glue on the top of a button's loop. Press the button above and to the right of the first button. Slightly overlap so the second button covers a bit of the first button. Hold the button until it stays. 4. Repeat step 3 to the upper left side of the first button. 5. Continue gluing and applying buttons along the length of the foot straps, slightly overlapping each one. 6. Let the glue completely dry before wearing the shoe.